I remember the first time my lips closed around a forkful of cilantro lime rice. Weird? Maybe. BUT it’s true! It was when my friend Amanda and I tried Chipotle for the first time. I ordered the 8 pound burrito (now I’m more of a fajita bowl kind of girl) and inside was the most amazing and flavorful rice ever. Last week I told you about my mad love for my rice cooker, so I’ll spare you on that. 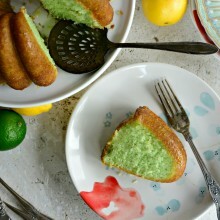 BUT I will say this recipe is SO much easier because of it. 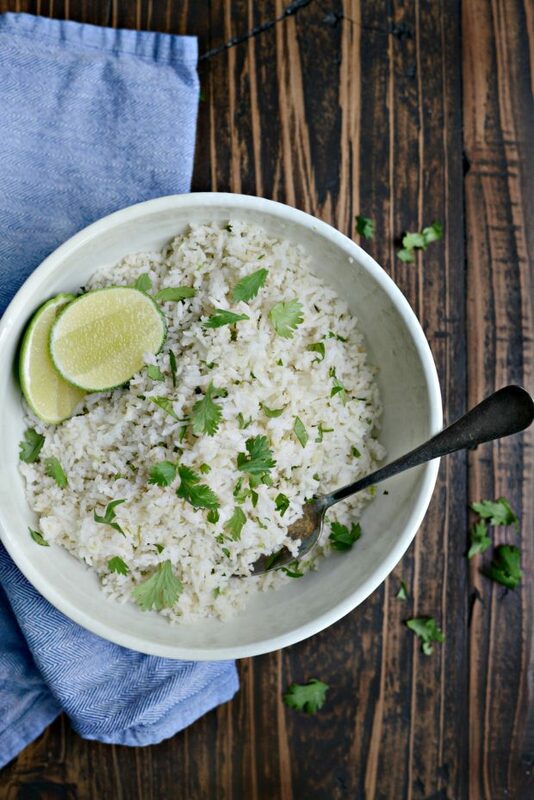 Toast rice, add to pot and cook, toss with fresh cilantro and lime. Seriously, it’s as simple as that. I start by toasting 2 cups** of long grain white rice. Heat a 10-inch skillet on medium heat, add in 1 to 2 teaspoons light flavorless oil (extra light olive oil or safflower oil works) and the rice. There’s no need to rinse it, although you certainly can, just drain well and pat excess water of with a kitchen towel until mostly dry. Toast, stirring occasionally to keep from burning for about 5 to 8 minutes or until lightly golden and aromatic. **note that most rice cookers come with their own specific measuring cup. If you don’t have one or (like me) have lost it, measure out two 3/4 cups. 3/4 of a cup is equivalent to the “cup” that is used with most rice cookers. Then I just add the toasted white rice into the pot, add a teaspoon of kosher salt and fill the water up to the correct waterline, for me it was line 2. Then, like your slow cooker, set it and forget it. Well, for at least 20 minutes or so. 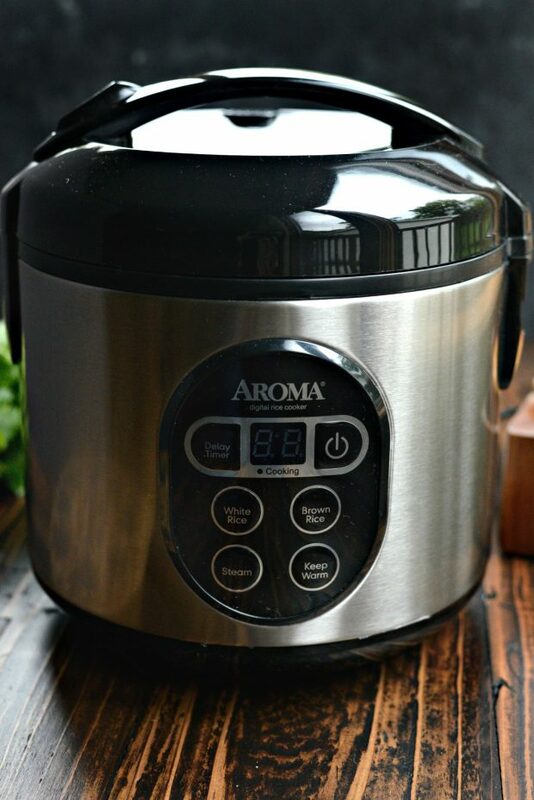 Here’s the rice cooker I use and love! 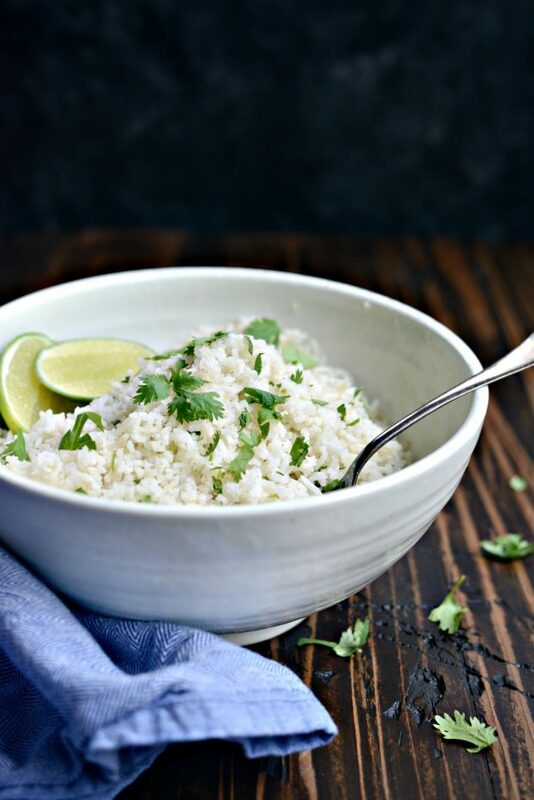 Once the rice is cooked, I fluffed with a fork and transferred it to a bowl and added a couple tablespoons finely chopped cilantro and the zest of an entire lime. Then I squeeze in the juice of half the lime and stir to combine. Done and done. 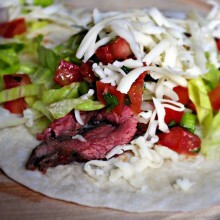 This may be better than Chipotle’s… I’m just sayin. Fun Fact: Malloree (you know her as my youngest and pickiest of eaters) hates rice. I know RIGHT?! She is the only person I know that doesn’t like rice. Pasta? YES. Couscous? YES. Rice? That’s a big, fat NO. But I still make her try it, because I am bound and determine to change that stubborn mind of hers. So like I always do, I put a small spoonful on to her plate next to her chicken and broccoli and guess what?! She said “Okay Mom, this is really good! It doesn’t taste like rice at all!” I’m a little miffed on the last part, because it indeed tastes like rice, but who am I to argue? SHE ATE HER RICE!! Until next week when she’ll deny it even happened. 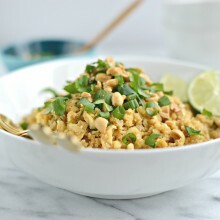 Easy and so flavorful! 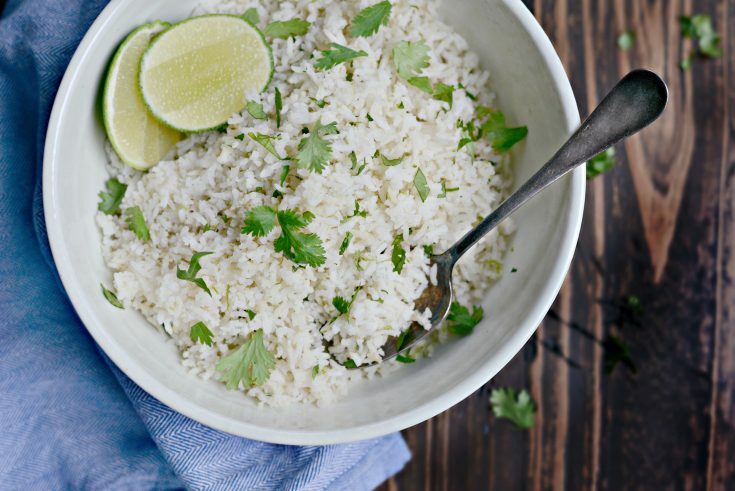 This cilantro lime rice rivals Chipotles, and possibly wins. Heat a 10-inch skillet over medium to medium-low heat. 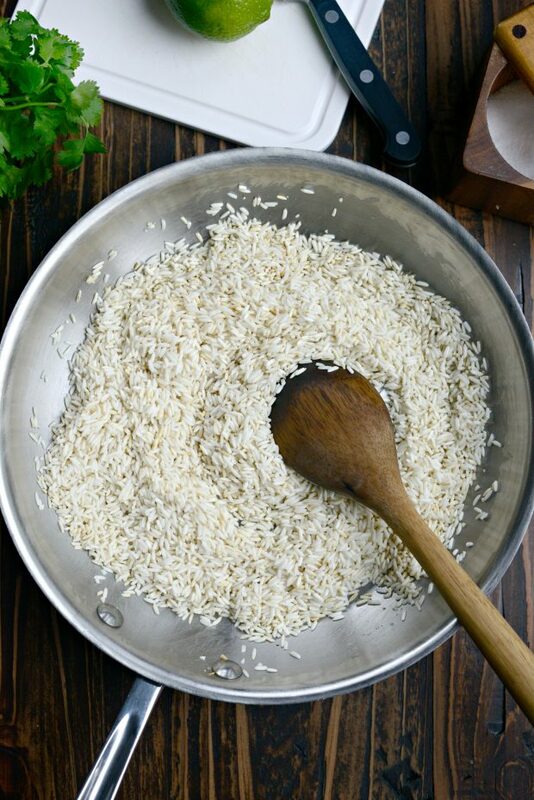 Add in oil and rice, stir and toast for 5 to 8 minutes or until the rice is lightly golden and aromatic. 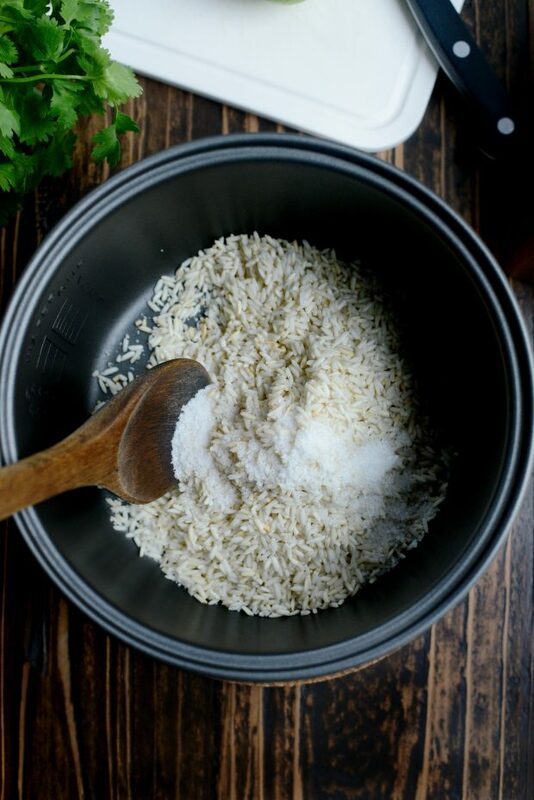 Place the toasted rice and salt into your rice cooker. Following the manufacturers instructions, fill to the appropriate waterline (for me it is 2), close the lid and set to cook. Once the rice is cooked, open the rice cooker and fluff with a fork. Then transfer to a bowl and add in the cilantro, lime zest and juice. 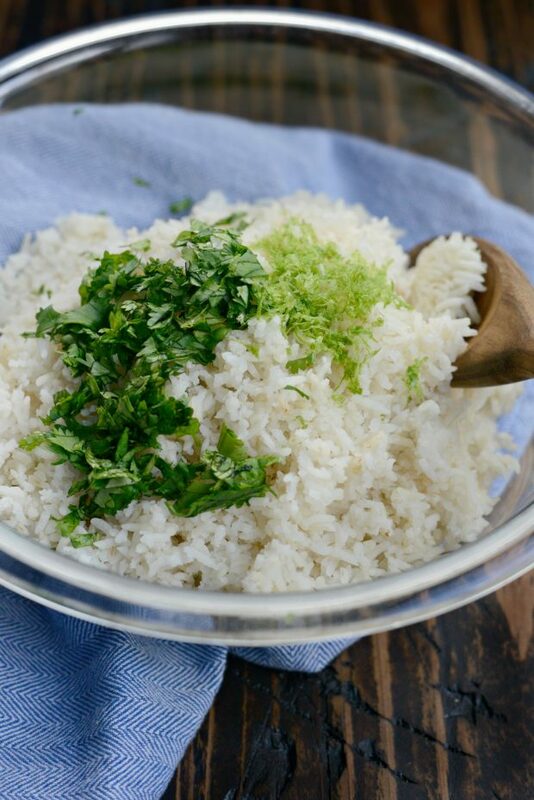 Taste and add more cilantro, zest or juice to your preference. Can this be done in a pan on the hob? We don’t have a rice cooker! 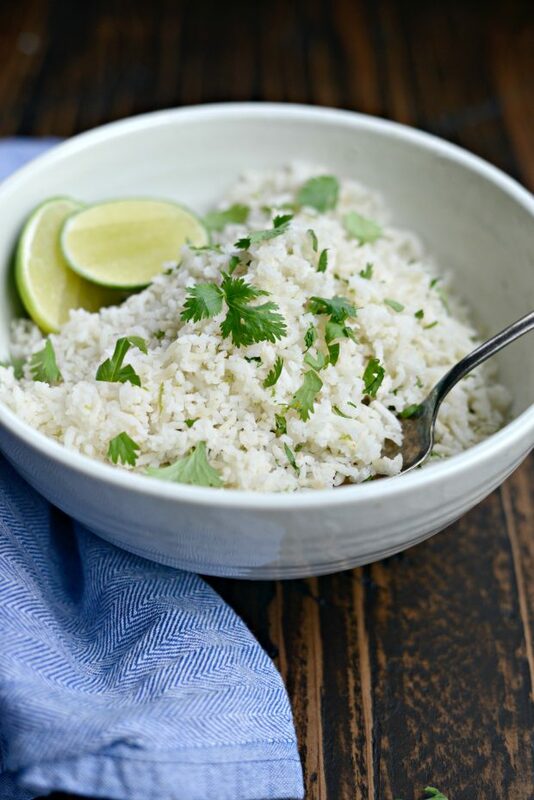 And to anyone looking for a couple of cheats, I did rinse my rice but did not towel dry it, and I didn’t use a fresh lime, but rather a good sized splash of organic lime juice. Cheers! Hi Roberta! Sorry, I do not. You could however easily upload the recipe in the MyFitnessPal app and it will give you that info I believe. All you would need is the link to the recipe. I hope this helps! 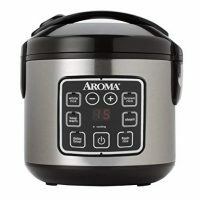 Can this be put in a slow cooker instead of a rice cooker? Hi Sally! Unfortunately, no it cannot.